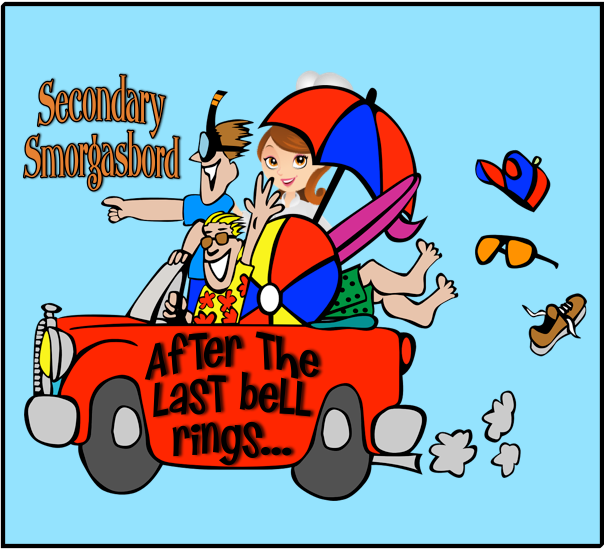 Desktop Learning Adventures: Secondary Smorgasbord: 10 Ways to Relax and Recharge When the Last BellRings! By this time of year, everyone is ready for that last bell to ring, announcing the end of another school year! The classroom is cleaned up, keys are turned in. Now, it's time to relax and recharge. Here are my 10 favorite ways to do just that. 1. SLEEP! Teachers have got to be one of the most sleep-deprived groups on the planet. I didn't realize how sleep deprived I really was until I retired. For those still in the trenches, enjoy those lazy mornings. 2. Learn to be still... I'm not sure I know how to do this yet, but I practice regularly. Some call it meditation, but I don't want to go that far. 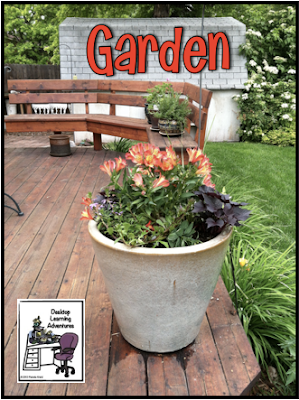 Gardening note: While I love fresh fruits and vegetables, that kind of gardening involves a whole lot more work, and I'm supposed to be relaxing. If you're one of those people who enjoys that kind of gardening, let me know and I'll be happy to help you consume the fruits of your labor. 4. Patio Tea Party- Hey, I've got these lovely flowers on my deck, might as well invite over a couple friends, make some tea, cut up some fruit and laugh and giggle for a couple hours, until it's too hot to sit outside. 5. 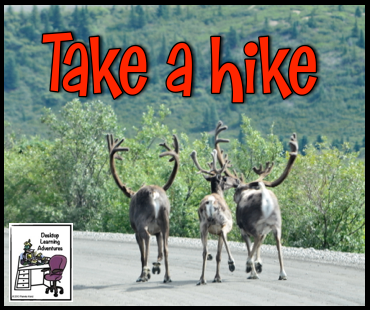 Go for a... A walk, a hike, a bike ride, whatever strikes my fancy. I prefer a bike ride in the morning and a walk in the late afternoon. Loki, our chocolate lab, demands one walk a day, and would prefer two. Remove Stressors: Get rid of my FITBIT & apps that count every move I make and send data reports. Isn't that what standardized tests are for? The last thing I need is something that tells me I chilled for most of an afternoon. I'm supposed to be learning to chill! I had a FITBIT, but it quit working. I looked at it as divine intervention. The whole point of relaxing and recharging is to get rid of stress, and unless I'm playing tennis, I struggle to get my 10K steps in a day and that stresses me out. I do have this really cool app that tracks routes, speed and difficulty of terrain I've used on bike rides, which is pretty cool, but I forget to turn it on and then get stressed that I didn't get to count all that data! Daily reminders gone- stressors gone! 6. PLAY! Golf, tennis, hang out at the pool, just get outside and have fun. 7. Lunch with friends- Getting together with friends for lunch, either planned or spur of the moment, is the best! I've learned that I need to allow at least 2 hours for lunch with my friends. We'll pick a spot where we can eat in or outside, if the weather is particularly lovely. 8. Read a book- At the pool, on vacation, on rainy days, whenever. 9. Take a vacation- It's a big, wide world out there and we owe it to ourselves to check it out! Granted, there's the planning, the packing, the travel, and remembering how to cook when I get back home, but I love a good vacation! This year will be awesome! 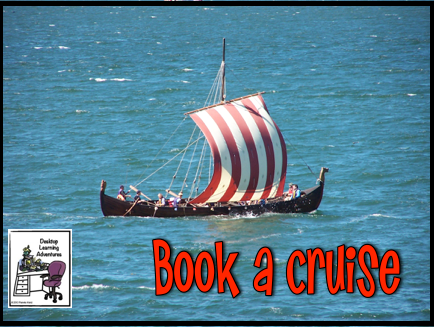 We've planned a Scandinavian cruise with a stopover in Iceland! I. Can't. Wait!! Clean a closet or two... I know, it sounds like work. But getting rid of junk and reorganizing makes me feel like I'm in control. Paint a room- Maybe I'm getting carried away here, but I did put it at the bottom of the list. And really, painting is quick if you don't think about the prep and cleanup. OK, in all honesty, I have several things I need to paint, but the other 9 things on my list seem to take all my time! Truth is, I just keep adding it to the bottom of my next-summer's list. One day I might even get there!